Dexmet precision expanded metals are used in a host of primary OEM and aftermarket automotive products. 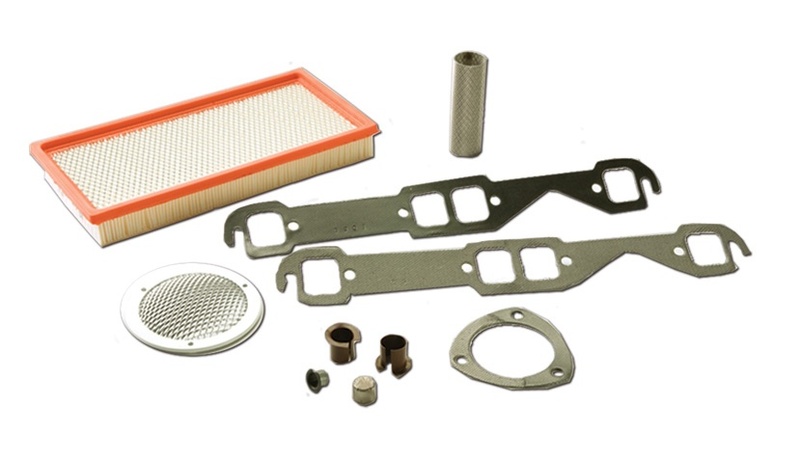 Typical applications include: low-cost greaseless bearings, high temperature gaskets, airbags, inlet screen and filtration. Dexmet bronze mesh is used as a lubricating material and support structure in bearings primarily for automotive applications. In addition, these expanded metals are ideal for automotive speaker grills & covers, light covers, protective light mesh and decorative applications. Automotive engineers continue to adapt Dexmet expanded metals and some expanded plastics in innovative ways. 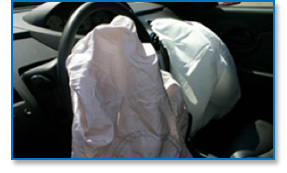 Dexmet expanded metals and foils are the materials of choice in airbag filters. As compared to the typical extruded material or woven material, Dexmet expanded metal saves money by eliminating waste and will not unravel during processing. Dexmet expanded metals and foils are available in a wider range of widths, thicknesses, and open area configurations than any other material type. This combined with the ability to perform custom slitting and edge treatments makes Dexmet the premier supplier for airbag filter materials. Over the past twenty years, automotive manufacturers have made a concerted effort to remove all bearings and bushings that utilize grease for automobiles. This shift has been slow to take effect because producing a bearing or bushing that can withstand extreme loads and continual abuse has been a challenge. The first generation of PTFE based bushings were for low load/low duty applications found on trunk and hood hinges, seat backs and some interior components. The transformation to the higher load applications, such as door hinges and light suspension components, gained momentum when new designs incorporating a woven or sintered phosphor bronze (a naturally lubricating metal) as a support structure for the PTFE became available. The current generation of bushing is designed for higher duty and heavier suspension components on cars, light trucks, and off-road equipment and utilize an aluminum or steel backing material in addition to an improved expanded phosphor bronze support structure for the PTFE. The performance gains utilizing an expanded product have made it the material of choice with engineers and the majority of the new bushings being designed will utilize an expanded product. Currently, there are some new model cars with over 200 bushings and this number will continue to increase as these low friction, oil-less bushings are utilized in every moving part within the automobile. 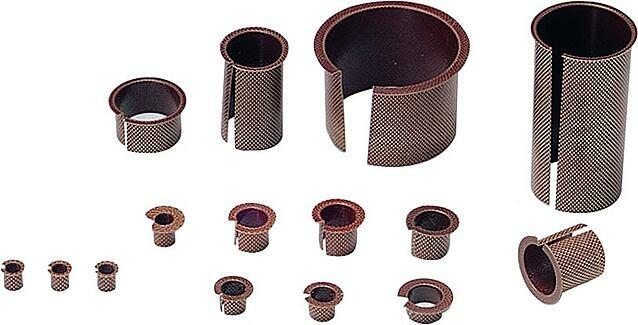 Additional applications for these bushings include motorcycles, off-road equipment, bicycles, and even appliances. Expanded metal can be employed by itself as a plain bearing or bushing. It is generally most effective in this use when loaded with a lubricant, such as grease or babbitt. However, expanded metal is more often used as the structural backbone for plastic plain bearings or bushings. In this approach, plastic (frequently PTFE or similar material) is extruded around an expanded metal core. The expanded metal does not come into contact with external surfaces, but retains the shape of the bearing/bushing and keeps it in place. Dexmet can provide a wide variety of metals, geometries (including control of the z-dimension), and secondary treatments to exacting specifications to meet your needs. Dexmet expanded metals and foils are the materials of choice in airbag filters. As compared to the typical extruded material or woven material, Dexmet expanded metal save money by eliminating waste AND will not unravel. Dexmet expanded metals and foils are available in a wider range of widths, thicknesses, and open area configurations than any other material type. This combined with the ability to perform custom slitting and edge treatments makes Dexmet the premier supplier for airbag filter materials. Please consult with our sales and engineering professionals for specific materials characteristics in regards to your bushing application. Dexmet expanded metals meet the demands of high temperature gaskets for exhaust manifolds. The variability of the expansion process allows designers to dial in a specific strength to the material for their applications. For more rigid exhaust flanges, a smaller opening is used and thicker base materials to provide optimum strength. For manifold gaskets, lighter weight materials with more open area are used. 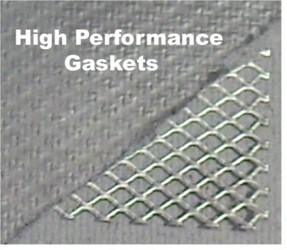 These gaskets use a flattened product to minimize the overall thickness. Materials typically used are low carbon steel and stainless steel. 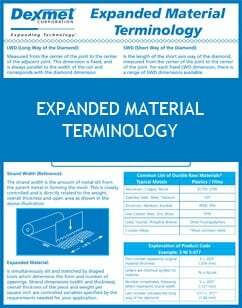 Dexmet expanded metals and foils are available in a wider range of widths, thicknesses, and open area configurations than any other material type. Dexmet expanded MicroGrid meshes are perfect for air inlet screens on commercial automobiles and high performance race cars. 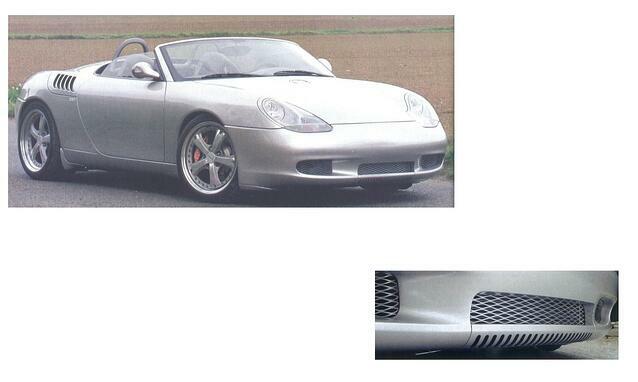 Typical areas where meshes are utilized are radiator screens, brake cooling inlets and engine air intakes. The openings can be more restrictive to filter out debris and small particles or enlarged for increased airflow. The expanded material also becomes a decorative component to the automobile as well so expanded materials are not only functional but good looking as well. Download this valuable guide on the vast selection of configurations Dexmet can provide for you automotive applications. Let us help you work through your needs. Contact one of our experts and start the conversation!